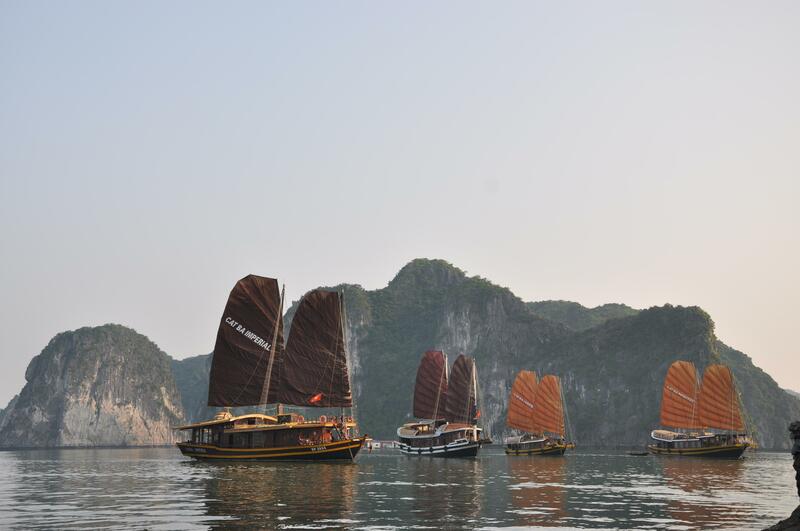 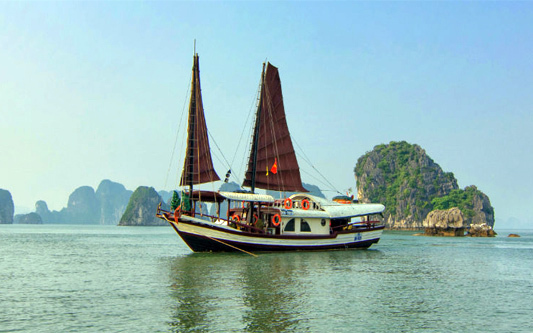 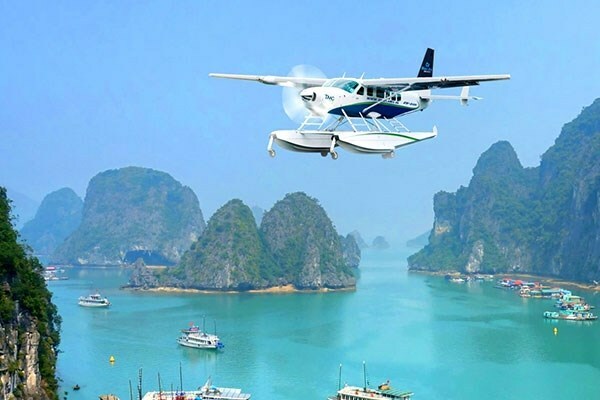 OVERVIEW Experience the stunning sceneries of all three of the beautiful bays in the Gulf of Tonkin and explore the amazing islands of Ha Long bay and Lan Ha bay on board The Au Co.Enjoy an invigorating visit a peaceful Lagoon in Lan Ha bay on a traditional rowing boat. 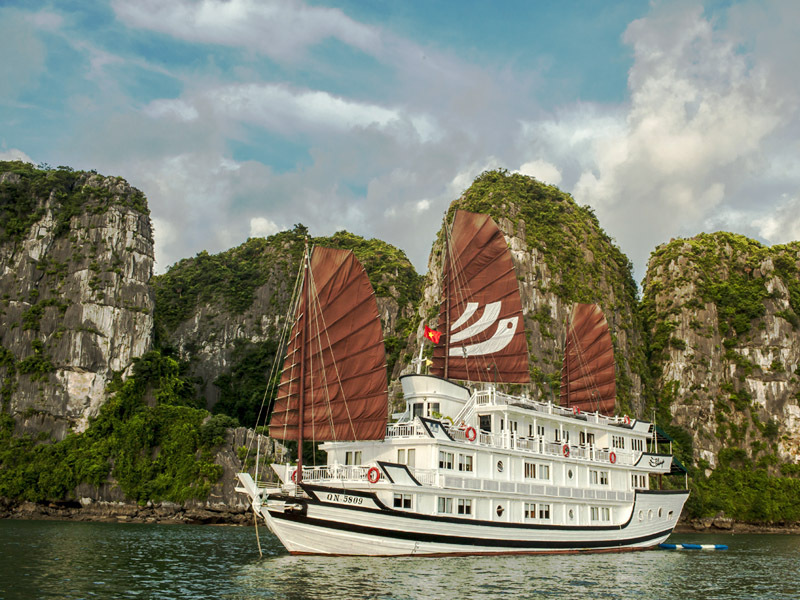 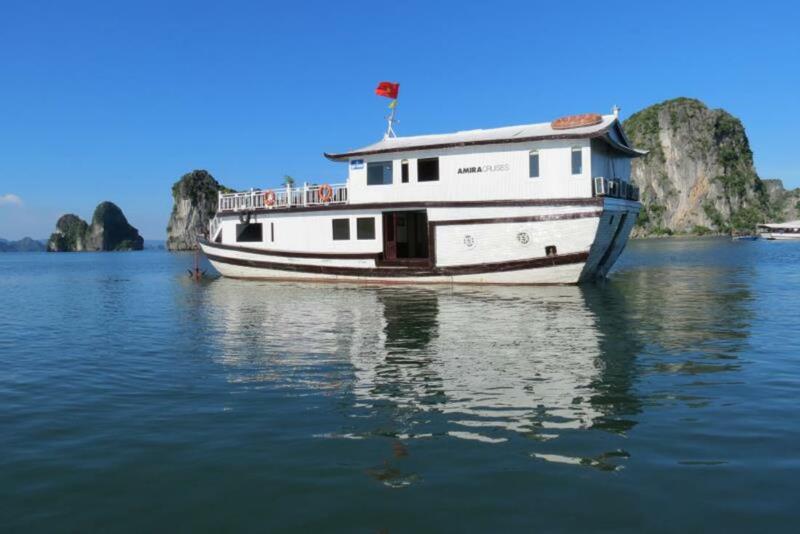 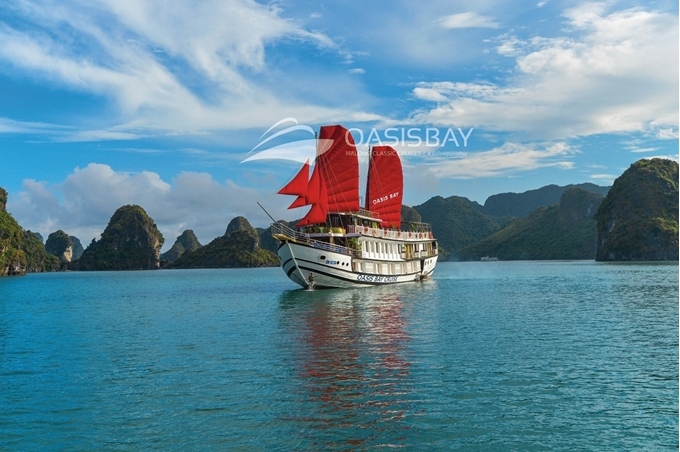 While aboard, discover The..
OVERVIEW: Explore Halong Bay on Calypso Cruiser – one cruise vessel featuring 12 deluxe cabins furnished in classic Vietnamese style. 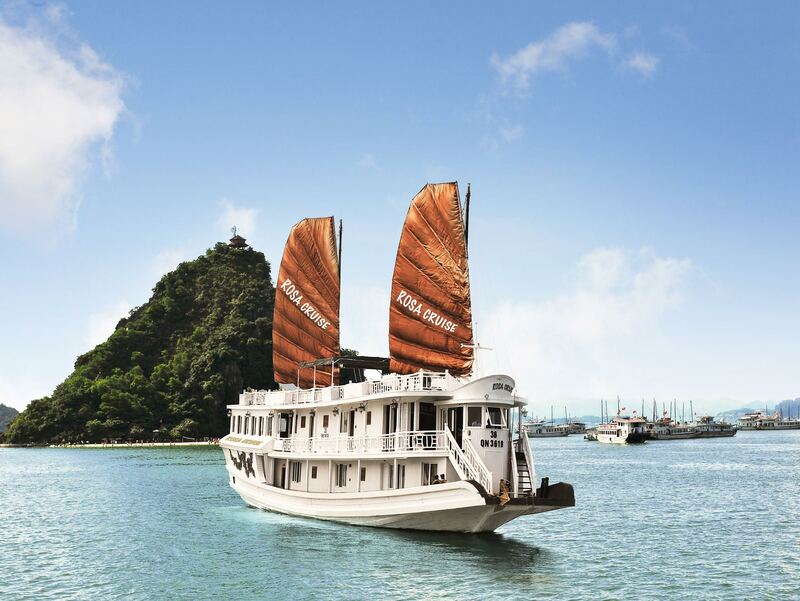 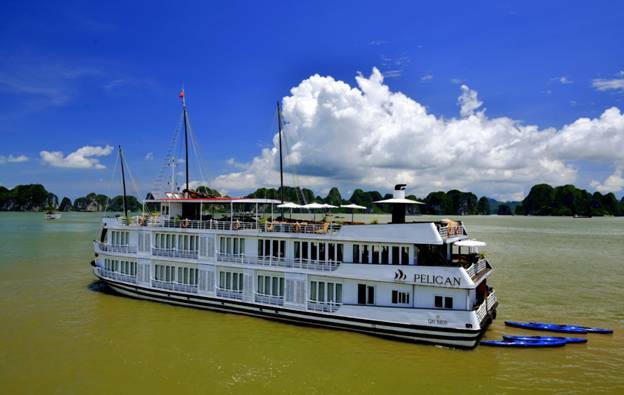 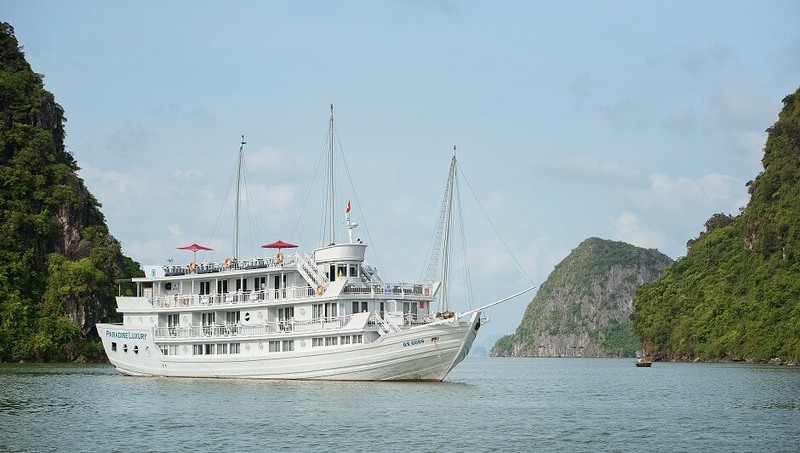 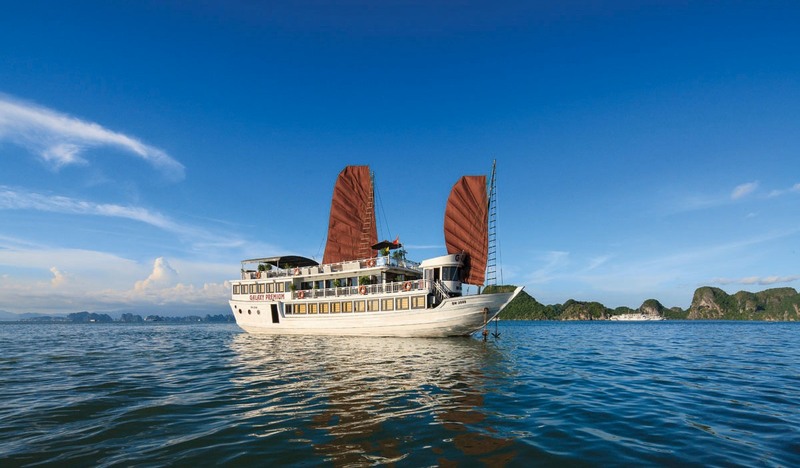 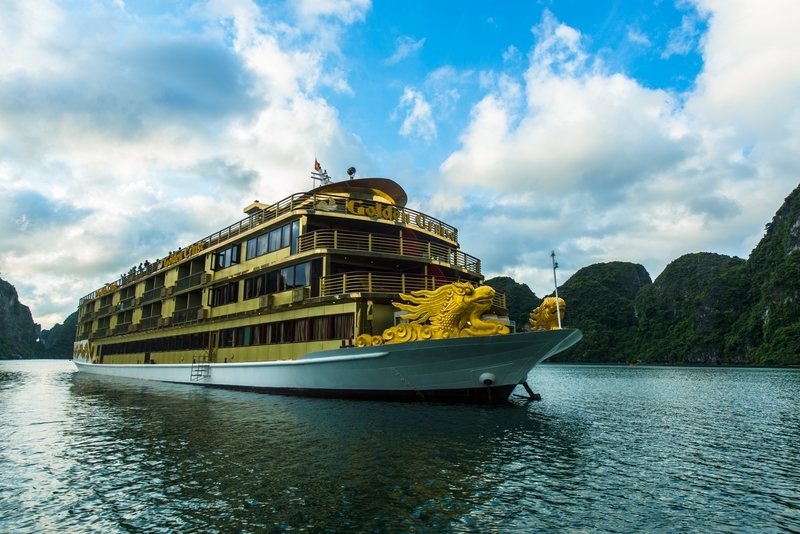 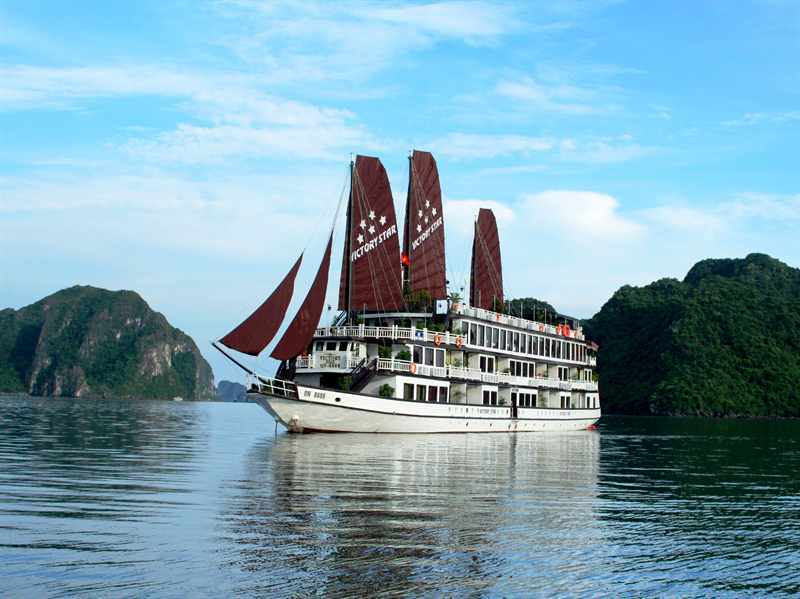 This 3-days cruise into the legendary Gulf of Tonkin (Halong Bay, a part of Bai Tu Long Bay and Lan Ha Bay) includes various activities that will indeed provide a ..
OVERVIEW: Launched in Mid-July, 2013, Galaxy Premium features 12 luxury cabins in “Vietnam Traditional Wooden Junk Style”. 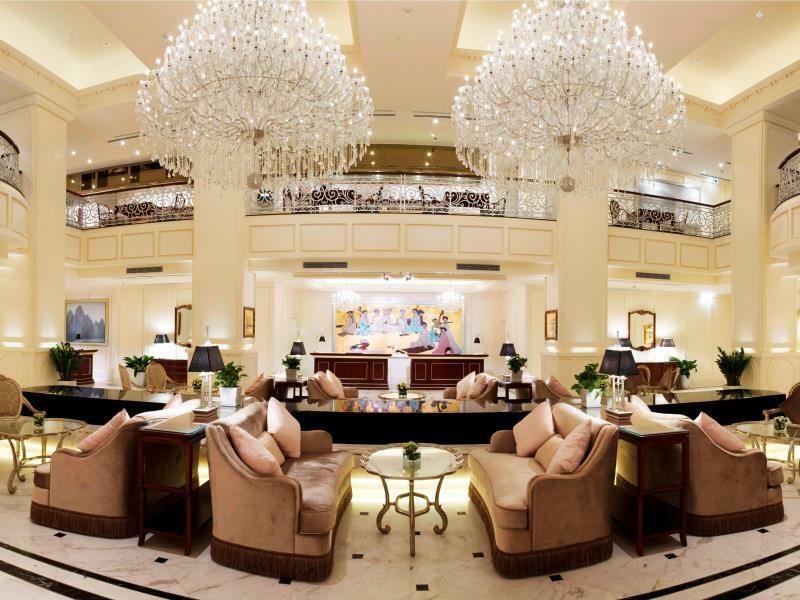 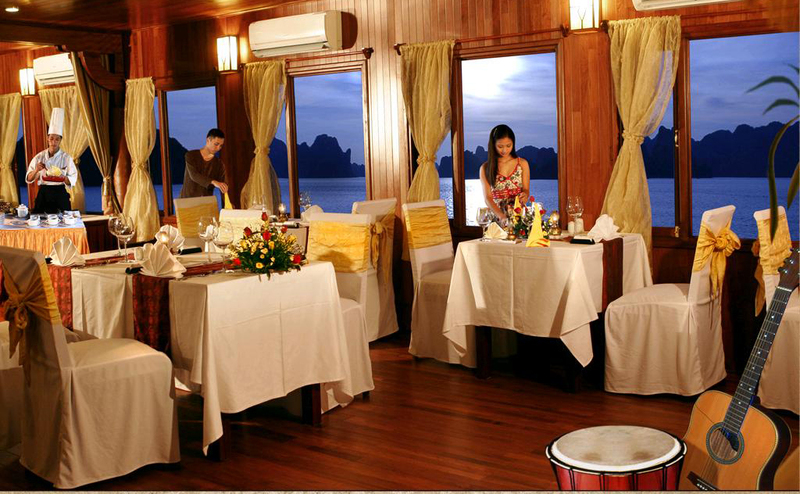 Fully equipped by the luxurious facilities such as a hotel on the sea offering an utmost comfortable during your stay. 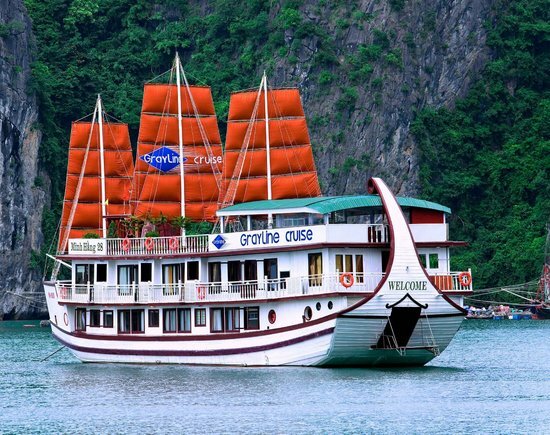 In addition, we are providing exciting group activities..
OVERVIEW The Mission Experience the most luxury and biggest cruise in Halong Bay, Golden Cruise is being acknowledged as the floating 5 Stars hotel on the sea. 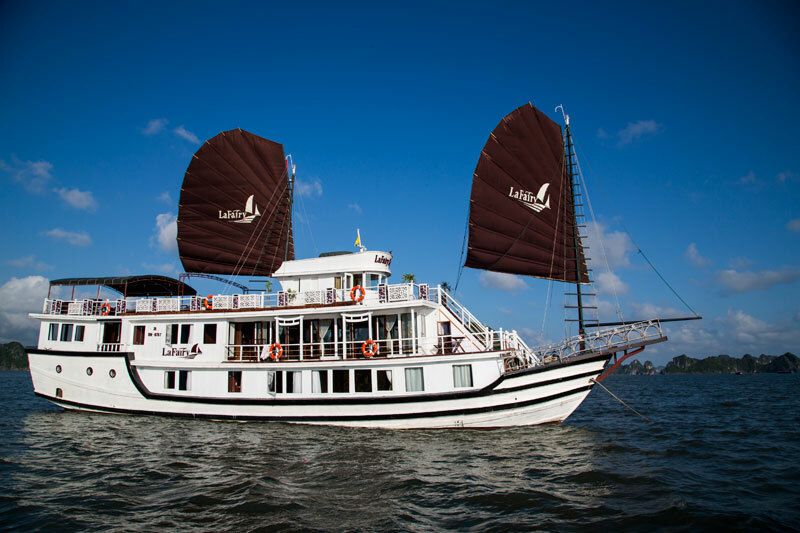 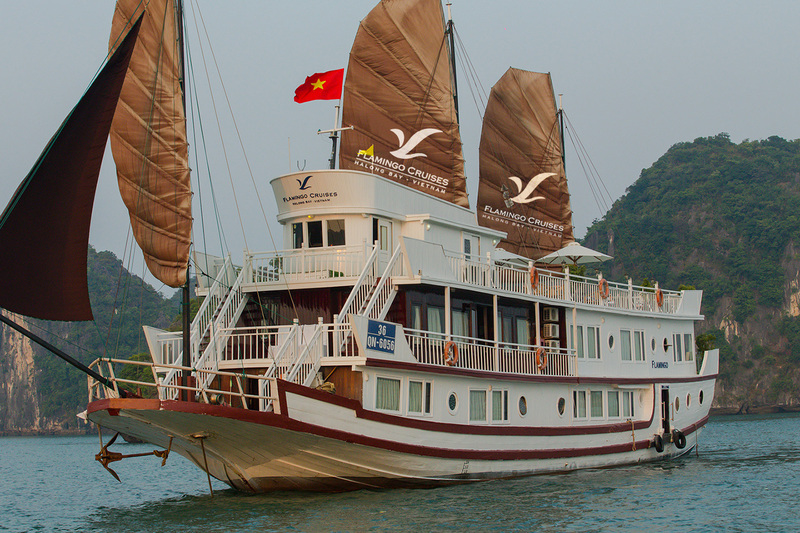 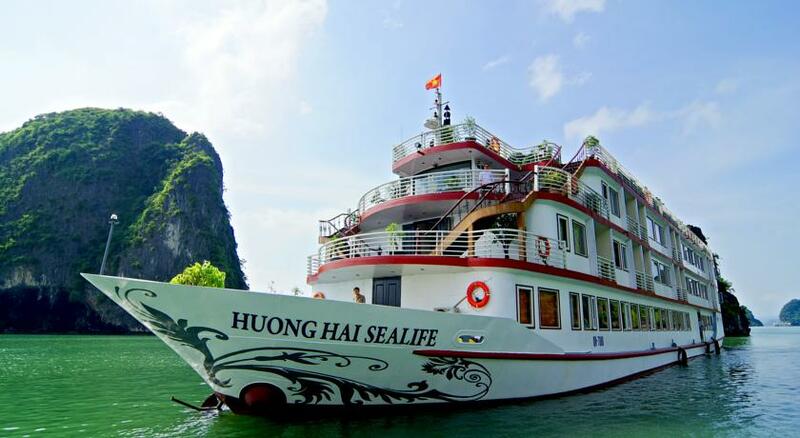 The management are committed in provide continuous training and development opportunities towards their career to the local V..
OVERVIEW HUONG HAI SEALIFE CRUISE HALONG 4* Now we lauch Huong Hai Sealife – a Vessel combining its traditional value and modernly luxurious facilities in 2013. 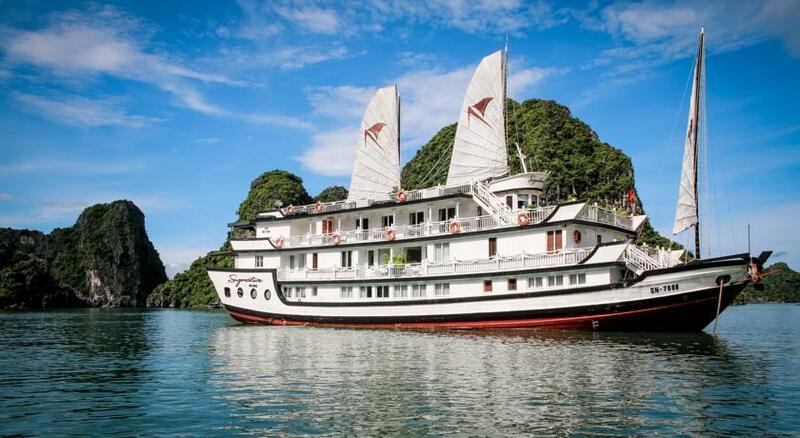 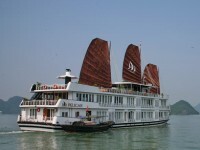 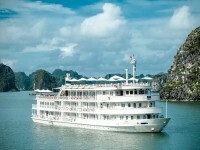 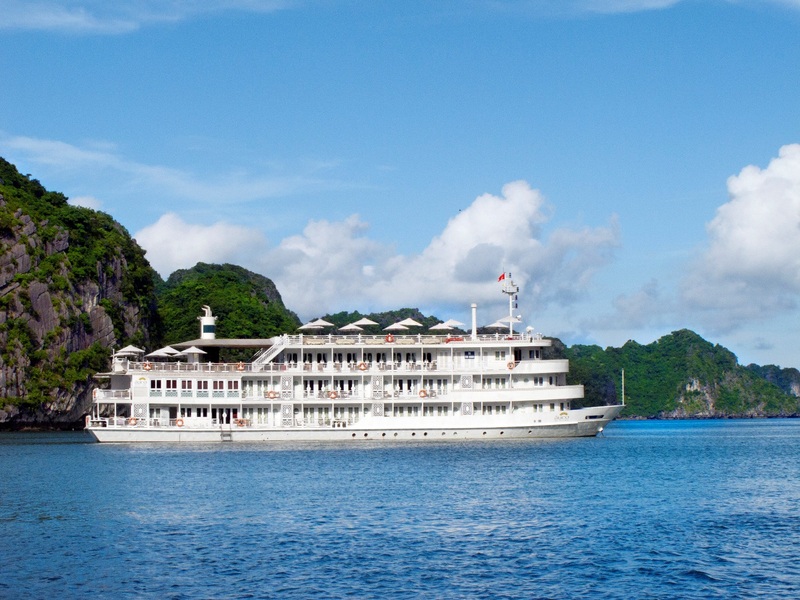 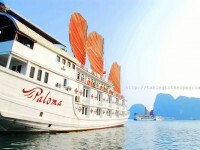 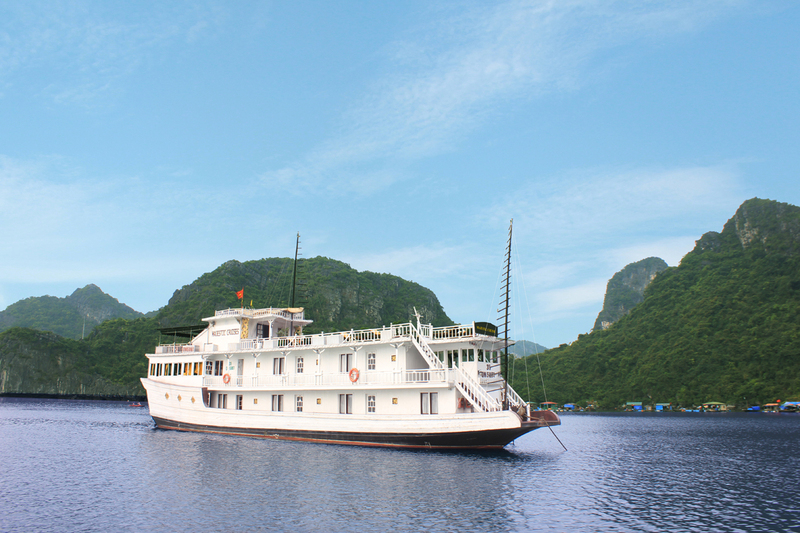 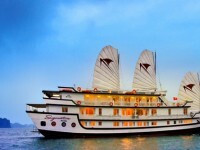 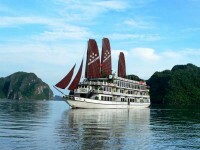 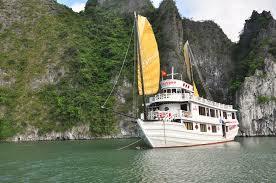 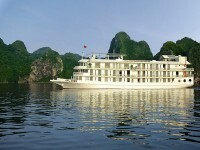 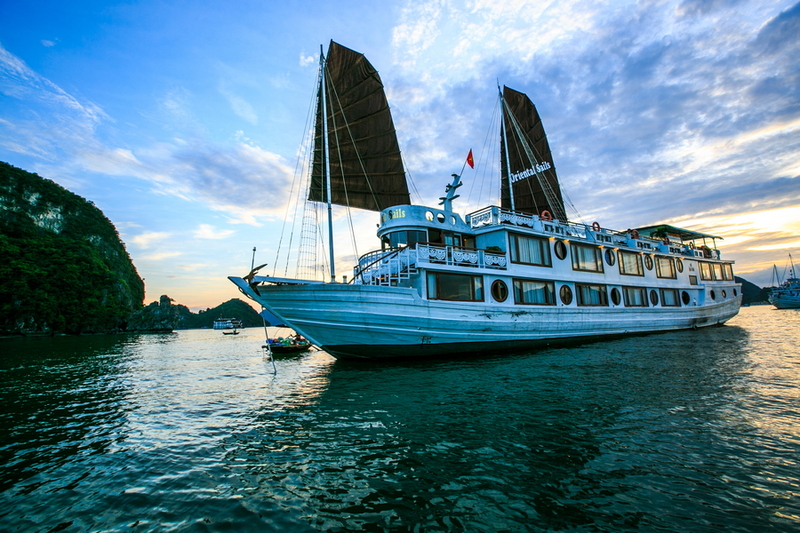 This ship is one of the biggest and most luxurious ones in Halong Bay with international standards. 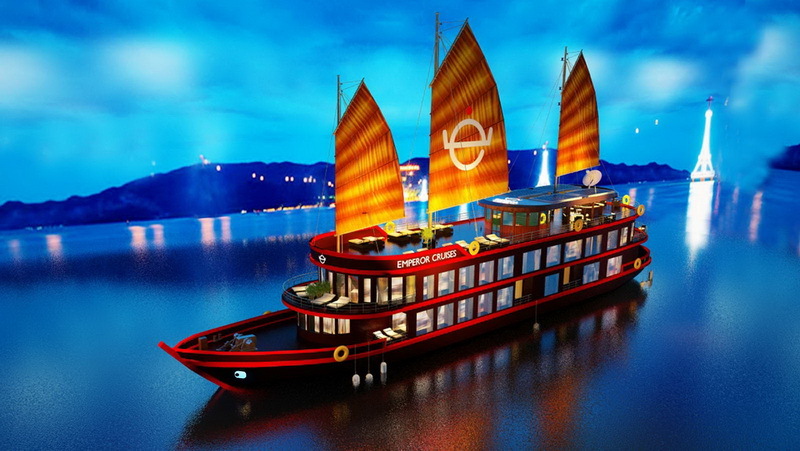 By 2015, we are going to design m..